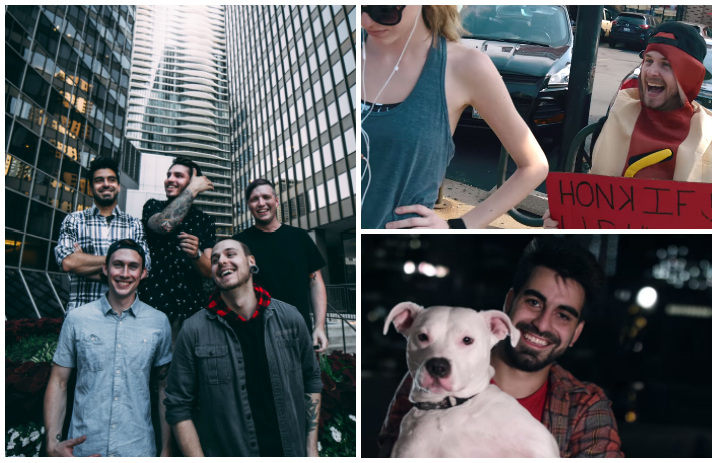 Chicago has always been one of the best scenes for pop punk—and newcomers Sleep On It are further proof that this city keeps churning out incredible bands. In this new video, the boys—vocalist Zech Pluister, guitarists TJ Horansky and Jake Marquis, bassist AJ Khah and drummer Luka Fischman—all vy for the affections of a girl, with mixed results. Read more: QUIZ: What pop-punk song are you? Over here at AP, we definitely don’t. Sleep On It’s debut EP, Lost Along The Way, is out Friday on Equal Vision Records. You can preorder it here. Check out the video below and let us know what you think of Zero Sleep On It in the comments!